Treat your client's best friend to these affordable dog biscuits and build your company's reputation. These dog biscuits are made of all-natural ingredients and will look great with your eye-catching 3D logo. Individually wrapped and sold per dozen. I decided to buy this product for our Hotel in Seward Alaska. We are dog friendly and I wanted a nice welcome gift for the dogs to make them feel more at home. Thanks for providing a product I can do so with! To offer when a guest purchases a dog package at the hotel. Great for marketing and delicious for pups! 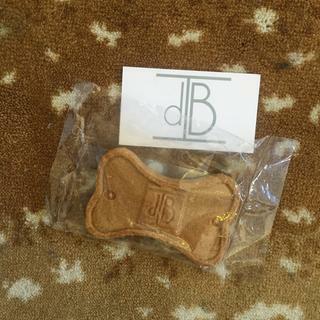 Custom Dog Biscuit + Logo for comparison! Hi Dina, thanks for your review and for the photo! We are so glad to hear that both humans and dogs alike were happy with these dog biscuits! Thanks for your business! We look forward to working with you again soon on your next project. I really liked the biscuits. I was surprised at how big they were when I received them. I think a smaller biscuit would be more manageable and I also wouldn't feel like I need to limit them to one per family. Hi Sam, thanks for the review! We are glad you're pleased with your dog biscuits, and we look forward to working with you again on your next project! These are great and we use them all the time for our clients! While the biscuits do not look quite as neat after printing like the photo, you can still read what it says. However the smell is wonderful and I have yet to find a single dog that did not like them. They all gather around and try to wait their tern to eat it. Then they look for more. These biscuits are a big hit.